Australia has a range of interests in Antarctica. Preserving our sovereignty over our Antarctic territory remains a fundamental interest. Since 1936, Australia has claimed 42% of Antarctica. Our claim, including extensive offshore areas, gives us significant influence in Antarctic governance. We wish to maintain the continent free from strategic confrontation. This means we don’t need to worry about the security dimension of the cold continent. A peaceful Antarctica saves our defence dollars. We also have a strong interest in a healthy Antarctic and Southern Ocean ecosystem at our maritime back door. That includes taking advantage of the special opportunities Antarctica offers for science. Antarctica is providing important data on climate change. Science is the cornerstone of our Antarctic presence. It’s the currency of influence in the governance of the continent. We want to be able to shape the political environment in a region proximate to Australia. And we want to derive economic benefits from Antarctica. In the new National Security Strategy (PDF) there’s little attention devoted to Antarctica. There’s a brief mention in the section on ‘Australia’s place in the world’, that notes ‘[o]ur extensive ocean and seabed interests extend well away from the shoreline and include important interests in Antarctica’ yet it doesn’t capture well enough the strategic interests the continent holds for us. There’ve been a few visits by high profile political figures so far which indicates increased attention in the region. In December, Environment Minister Tony Burke visited Casey station, the first Australian government minister ever to visit an Australian Antarctic base. This month, Quentin Bryce achieved a milestone; she was the first serving Australian Governor-General to visit Antarctica. Former Prime Minister Bob Hawke has also just made a flying visit to Antarctica to officially open the Wilkins Runway Living Quarters. That said, other states have upped their Antarctic activity. This month two Welshmen are taking on the role of polar postmasters as they re-open an old UK post office in Antarctica, more than 50 years after it was abandoned. The Post Office will sell British Antarctic Territory stamps, and provide a fully-functioning international mail service to the rest of the world. Also this month the President of Peru announced that Peru will increase the number of expeditions and develop a permanent base there, (the current one operates only during the summer). 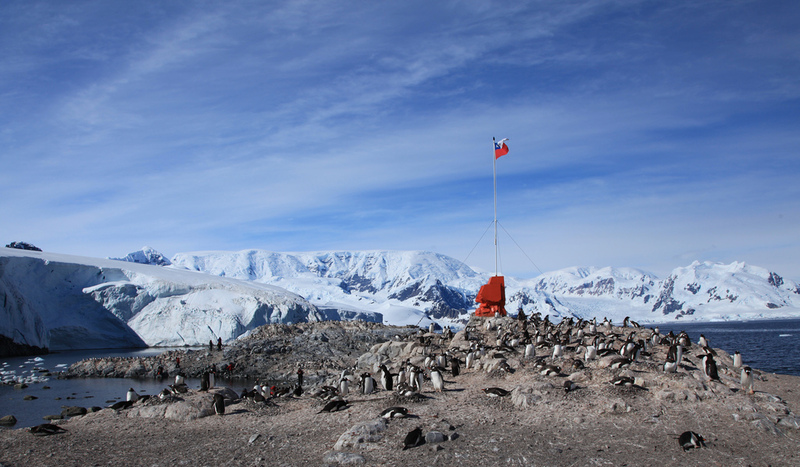 The Chilean President recently announced that Chile’s air force will run a new base in Antarctica. In January, China selected a site for its fourth Antarctic research station. One or two Chinese stations will be built in Antarctica between now and 2015 under China’s 12th Five-Year Plan. In December, the British Foreign Secretary William Hague reminded everyone that the UK wishes to preserve its polar presence. Polar place names are potent national symbols. Hague announced plans to rename an area of 437,000 square kilometres of Antarctic territory as Queen Elizabeth Land, in honour of Her Majesty’s Diamond Jubilee. While it may now be Queen Elizabeth Land on British maps, the naming event provoked Argentina to issue a formal protest note to the UK Ambassador to Argentina. The British Antarctic Territory is counter-claimed by Argentina and Chile. Moscow immediately put out a statement that the Antarctic treaty does not provide grounds for making, supporting or denying any claim for territorial sovereignty in Antarctica. Things are heating up. While it would be expensive to recover oil and gas from Antarctica a big spike in oil prices could change the economic equation. Fishing and tourism offer commercial potential. Antarctic tourist numbers have been around 40,000 in recent years. There’s no international regime that governs Antarctic bio-prospecting. Australia’s Antarctic capability is treading water. We’re now looking to replace the research and polar support ship, Aurora Australis, as it nears the end of its life and studying options for a second Antarctic runaway (the current one is melting). 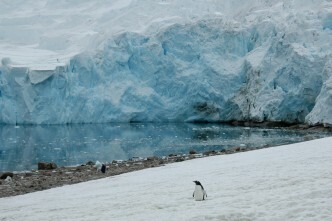 Australia has a long history in the frozen south, but more strategic thinking is needed to secure our Antarctic future. Anthony Bergin is deputy director of ASPI. Image courtesy of Flickr user Liam Quinn.